The meeting was informed about the purpose and requirements of the Public Inquiry. We received many offers of help and numerous people offered to provide witness statements and to appear at the Inquiry as a witness. We raised over £2000 to help us instruct a barrister. Thank you to all those who made donations on the evening. BBC Wales reported on the meeting; click here to see the report. 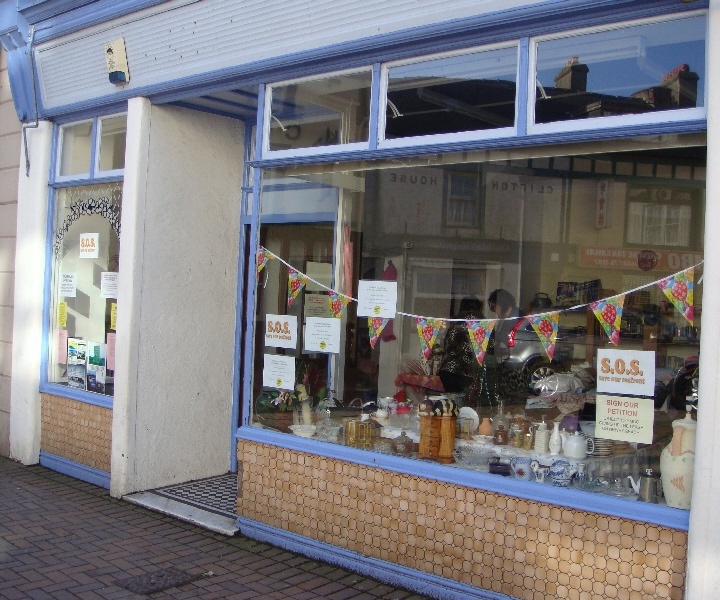 Fund raising shop was held in Market Square, Holyhead Monday 31 August to Saturday 5th September 2015. We were swamped with donations which helped us to raise a considerable sum to help towards our legal fees associated with our application to register the Newry area as a Town and Village Green. Thanks to everyone who made donations. NewryBeach and Promenade could soon disappear as Conygar Investment Company announced on 19th February that it has been given planning consent by Anglesey Council for the Holyhead Waterfront development. We also understand that Anglesey Council has now taken the decision to give back the Newry lease to Conygar Stena with immediate effect. NewryBeach could soon become out of bounds and destroyed forever. To those who said it will never happen – think again. 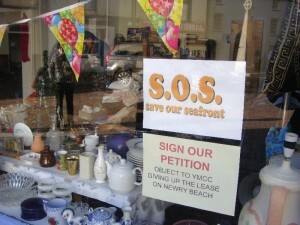 We can save our beach and promenade by registering the Newry area as a “Village Green”. This would mean that the Newry part of the development cannot go ahead, ensuring that our community and visitors can use and enjoy NewryBeach, Promenade and Greens for always. The Waterfront Action Group Newry Beach Holyhead is hosting a PUBLIC MEETING on THURSDAY 6th MARCH at 6.30pm in HolyheadHigh School / Ysgol Uwchradd Caergybi where we will explain why it is crucial for the Town, for Holy Island and for Anglesey that NewryBeach, Promenade and Greens is registered as a “Village Green”. At the meeting, you can put forward any views and find out what is going on. There will be a letter available for you to sign, objecting to the Council handing back the lease and also a form for you to complete in support of our application for registering the Village Green. The Waterfront Action Group is not against development. 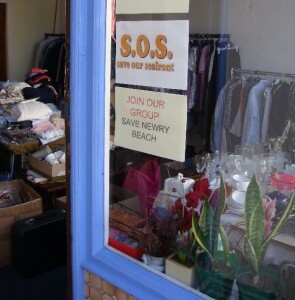 We are opposed only to the NewryBeach part of the proposal. We are not opposed to the development proposed for Soldier’s Point. To those who believe that the Waterfront Development will create 100s of jobs we urge you to think again. The job numbers claimed by the developer are sheer fantasy. We can get more and better jobs by saving Newry Beach. 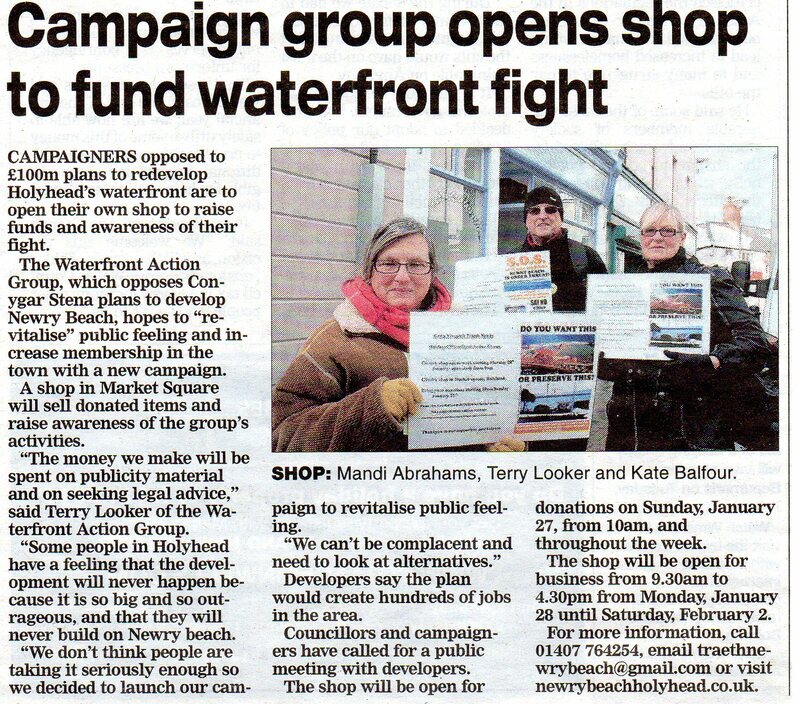 We can show that worthwhile and long term jobs can be created by an alternative and more appropriate development of NewryBeach and by developments closer to the Town Centre which will help revive our local shops and businesses. 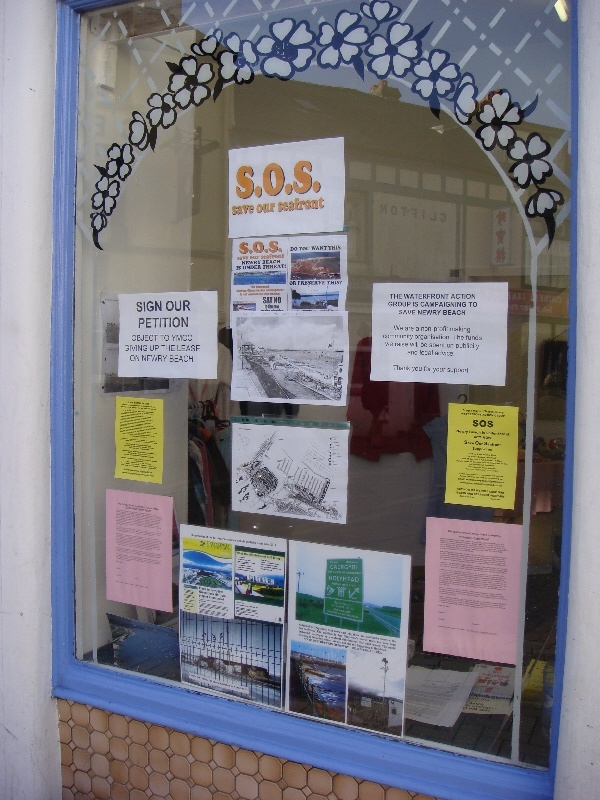 Act now to save our seafront or we will lose the chance to save Holyhead’s natural assets from which we can create economic and job opportunities. We must keep our natural Newry seafront. Support our campaign. 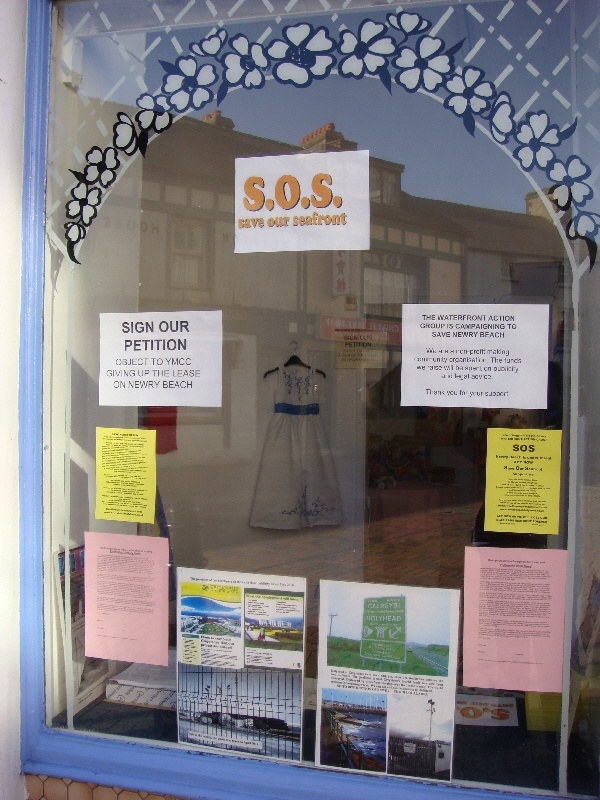 Anglesey Branch of the Campaign for the Protection of Rural Wales (CPRW). Conservation Forum, Wednesday May 22 at Capel y Gad, Bodfforodd The Chair and Secretary of the WAGNBH attended the forum where they were able to promote and discuss our concerns over the Newry Beach Waterfront Development. They met several officers from Anglesey County Council as well as Bob Newton from the Welsh Government Planning Division. 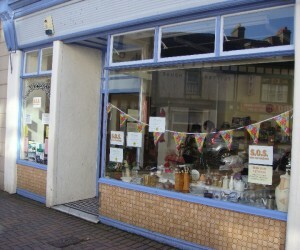 Fund raising shop in Market Square, Holyhead 28th January to 1st February 2013. 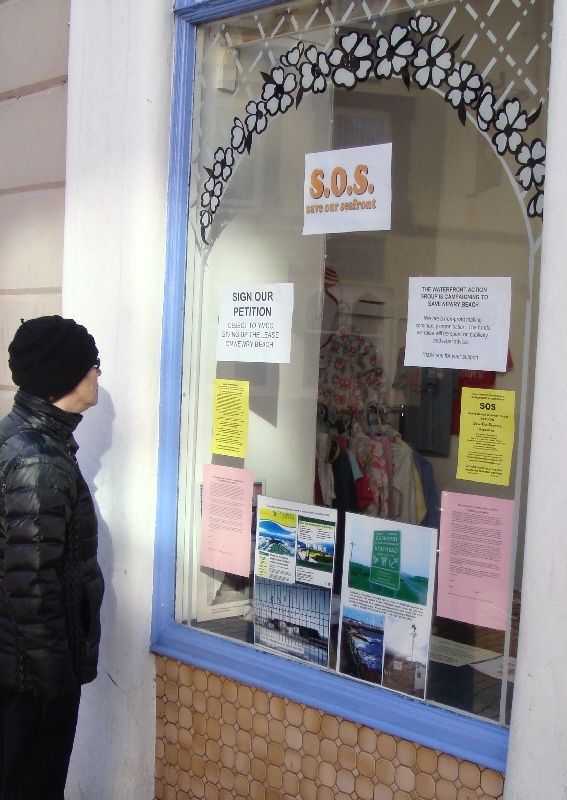 We raised £1010 for publicising our campaign and to seek legal advice. 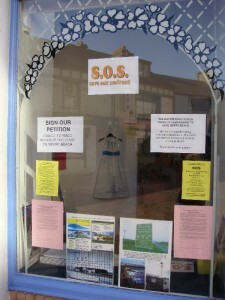 Over 200 supporters signed our petition. We spoke to most visitors to the shop about the proposed development. Several kindly recorded their views to share with everyone. An audio file of views will be added to our website shortly. 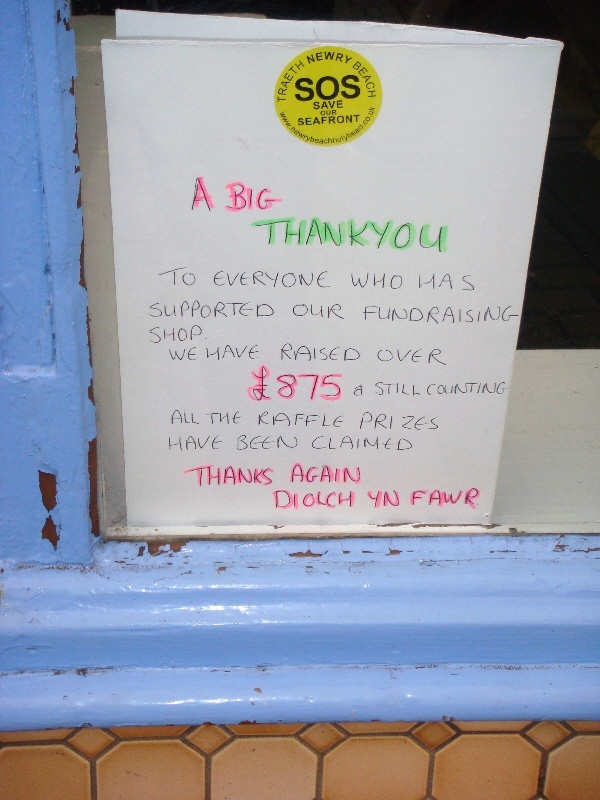 Here is the thank you notice we placed in the shop window when we closed on Saturday 2 February. 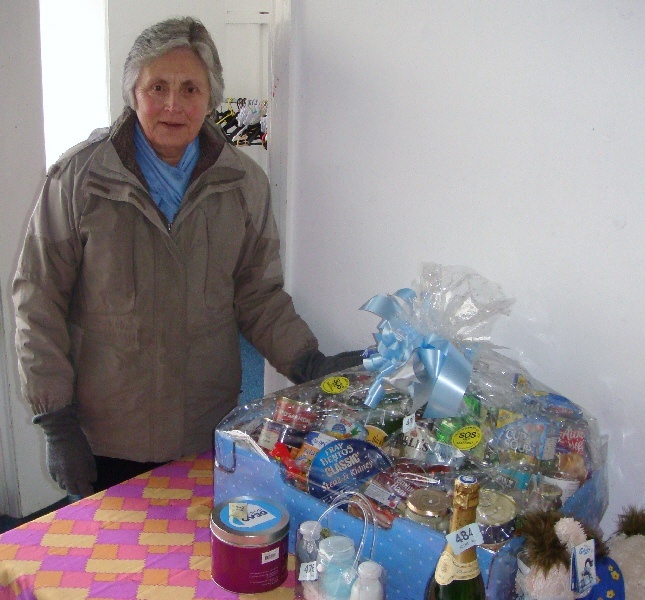 Carys collects first prize in our raffle. All raffle prizes have been collected. 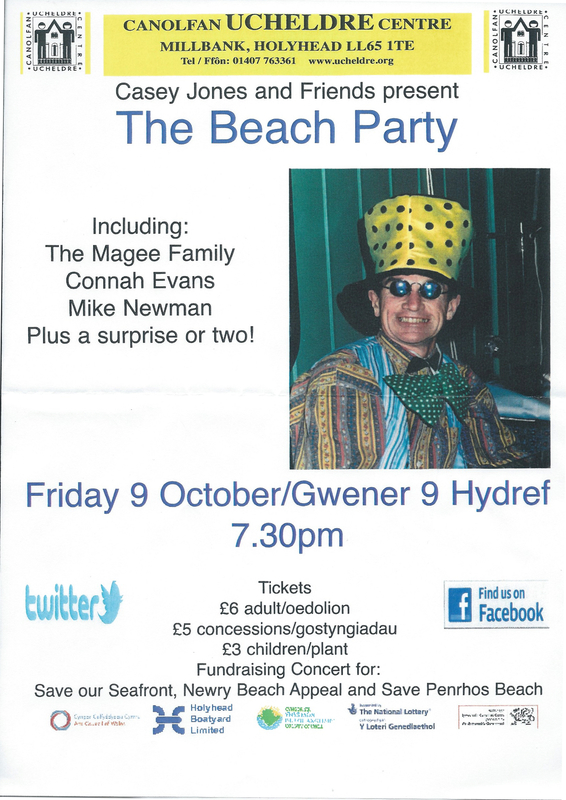 email traethnewrybeach@gmail.com for further details and to arrange collection. Thank you.